Grandmaster Tu has been teaching Qi Gong for almost 30 years. He recently came out with a Tai Chi Qi Gong book. This book includes photo of step by step instruction on our Tai Chi Qi Gong. Grandmaster Tu'S Tai Chi is not like the Tai Chi you see in the park. 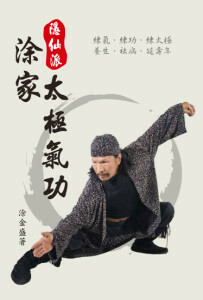 His Tai Chi incorporates the 5 element Qi Gong with Tai Chi Quan. With the combination of gold, wood, water, fire, and earth each of these elements is paired up with movements that specifically targets the organ of each element. For example Fire is closely related to Heart, Water is related to Kidney and etc. These elements and their correlation to our inner organs is explained in details in the book. The book also has step by step photos to teach you the form. We also have the DVD available for those who prefer digital learning over reading. This book is only available in Mandarin, however we will have an English edition soon.